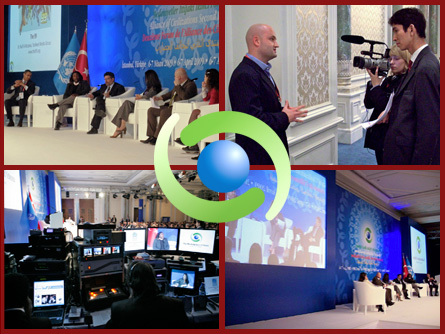 On 6 April 2009, one of the most exciting sessions at the Istanbul Forum took place. This was the Marketplace of Ideas. In 90 minutes of presentations, some of the world’s most exciting and innovative but lesser known civil society projects advancing intercultural understanding were featured. A high-level audience of leaders from government, international organizations, business, religion, civil society and academia attended this session, where they heard about grassroots initiatives that are unique, but also have the potential to be scaled up and replicated in other diverse communities around the world. The outputs and/or activities of the project must be innovative in the way that they promote intercultural dialogue, or engage in action at the grassroots level of society. The project model should have the potential to be replicable in other contexts, as well as to be scaled-up to exert greater impact on target societies. A project which has the potential to achieve global scale will be viewed favorably, although this is not an essential requirement. The project must have the potential to benefit from participation in partnerships. There should be a clear justification for why the project bears profiling in front of a high-level audience of policymakers and funders. Ultimately, the goal was to showcase projects which do not already have firmly established links with the UN system, or have yet to be truly ‘discovered’ by the international community. Almost 100 applications were received, from which 18 projects were selected via a comprehensive and thorough review process by the UNAOC Secretariat. 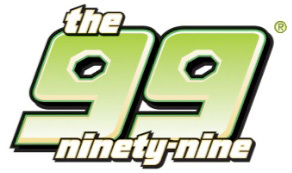 The 99 – a comic based on the 99 attributes of Allah; each of 99 comic book characters is based on one of the 99 attributes. The religion of the characters is not specified, and the positive value or attribute each character represents are inclusive and relevant to every society. Ramadan Festival – a series of cultural events during Ramadan that is organized in multiple cities around Europe. The festival is aimed at fostering social cohesion and building bridges between Muslims and Non-Muslims. Be Seen Be Heard Be Known – an initiative to highlight and feature positive stories of young people between the ages to 13 and 29 in national newspapers and magazines with the aim of changing national perceptions of young people in the Caribbean. Respect Magazine – a magazine produced with young people from marginalized communities in France, Africa and the Middle East to promote diversity, point out stereotypes, create a space dialogue and build bridges across communities. Qantara – an online portal that fosters greater understanding between Europe and the Middle East through showcasing arts and culture and current affairs. The word ‘Qantara’ means ‘bridge’ in Arabic. One Voice – a project that develop, in partnership with negotiations experts, a methodology that addresses taboo areas where agreement between Israelis and Palestinians is most difficult – from refugees to Jerusalem – through an iterative polling process and a series of town hall meetings. Connecting Cultures – a project that promotes face to face interaction between young people from the Western and Arab World via short wilderness journeys to celebrate cultural diversity, promote understanding, and help reduce the polarization of cultures. Amahoro Youth Club – a project which aims to connect youth from different ethnicities in Burundi in a post-conflict environment to create a space for exchange among them and to enable them to participate in peace building and sustainable development in a qualified manner. Tool 4 Trialogue – a project that gives young British students an exciting and topical encounter with religious texts from within their own faith and then facilitates discussion with students from other faiths. Soliya – an innovative initiative connecting students from universities around the world to engage in sustained intercultural dialogue using new media technologies, and empowering a global network of young adults with the skills, knowledge, and experience to build a more constructive relationship between Western and predominantly Muslim societies. Initiative for Intercultural Learning – a project that brings together students from a diverse group of countries (Uganda, Ruanda, Japan, Nepal, Thailand, European Union, Syria, Lebanon, USA, Israel and Palestine, Switzerland) and facilitates mutual exchanges between them. IMC Weekend School – a project that convenes volunteer professionals who teach their jobs to children aged 10-14 in under-resourced, largely immigrant neighborhoods, in order to foster connection with mainstream Dutch society. Pakistan Madrasa Project – a project aiming to reform curricula, improve infrastructure and offer teacher training at religious schools all over Pakistan to enhance global security in a meaningful way. Achieving Youth Potential – an initiative to create job opportunities for unemployed youth in the Middle East and North Africa by providing world-class professional and technical training that leads directly to career-building jobs. Rafi.ki – a large, accessible and user-led online learning community where pupils and teachers from around the world work collaboratively develop their understanding of global issues through communication and joint participation in educational projects. The Intercultural Communication and Leadership School – a project that aims to bolster civic youth leadership for inclusive and informed governance of urban diversity – piloting on 5 continents and in the Middle East. Tomorrow’s Youth Organization – a project which offers community outreach programs in Palestine to empower children, youth and parents. Istanbul 2010, European Capital of Culture – a project seeking to promote Istanbul’s status as an open-air museum, and a city dedicated to peace, understanding and culture. The Marketplace of Ideas was presented by Ghida Fakhry, co-anchor of Al Jazeera English since April 2006. Prior to taking up this position, she served as New York Bureau Chief of the London-based Arabic language daily Asharq Al-Awsat. From 2002-2004, she served as the Lebanese Broadcasting Corporation-Al Hayat lead evening news anchor from London, and was the New York Bureau Chief from 2000 to late 2001 for Al Jazeera. Previous to that, she was a New York Correspondent of Abu Dhabi Television.